As seen on BrooklynVegan, Sebadoh are slated to release their first new album in 13-years, titled Defend Yourself, on September 17 via Joyful Noise. Take a listen to lead single “I Will” and check out a trailer for the LP at the bottom of this post. The trio have set up “Test Pressing Listening Parties” for Defend Yourself at 11 record stores across the country this Saturday (8/17). The Chicago location is Reckless Records’ Wicker Park shop, where you’ll be able to hear the record at noon CST. After the listening party, the test pressing will be awarded to a lucky fan. Pressings are signed by each band member and numbered out of 40. 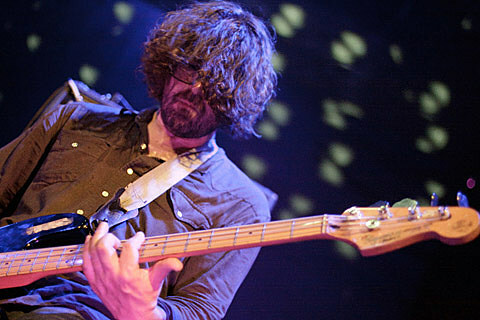 Sebadoh will also be touring throughout North America this fall. That tour begins on the East Coast at the start of November and will tag Chicago for a performance at Schubas on November 10. Tickets go on sale this Friday (8/16) at noon CST.